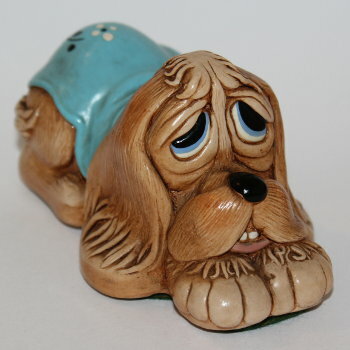 PenDelfin Pooch designed by Doreen Noel Roberts and produced by the PenDelfin Studios in England from c1962 until he was retired from production in c1987. The PenDelfin dog Pooch is a lovely change to all those bunny rabbits! This Pooch is wearing a blue blanket. 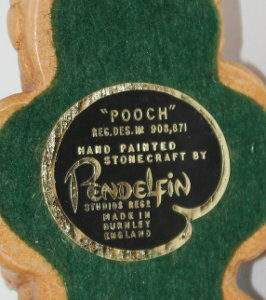 On his base he has the original green felt and PenDelfin artist palette, Pooch, label. Condition: Excellent overall condition with only an odd paint flake. A really lovely early PenDelfin item in great condition.